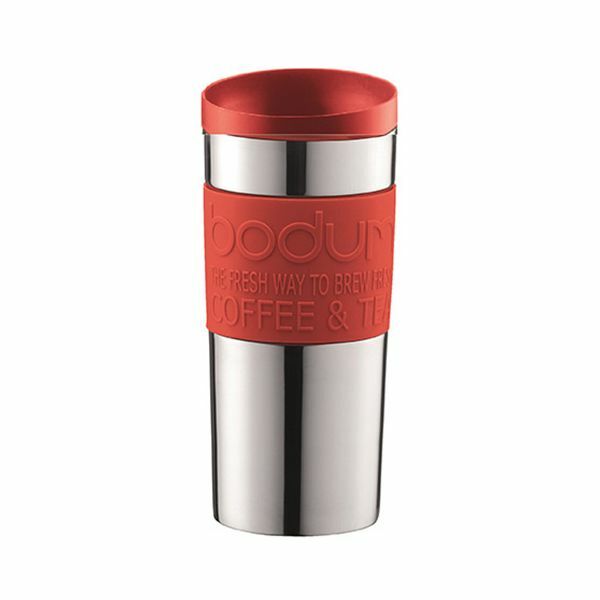 An essential stainless steel travel mug for drinks on the go in style. The lid creates a spill resistant seal with the vacuum mug keeping hot drinks warmer for longer. The lid has 360° opening so you can drink from any side . The silicone grip around the mug keeps your fingers cool and provides a firm and comfortable grip. No spills- keeps very hot drinks. Love it and easy to use & clean.